Having a beautiful, healthy-looking smile is essential for feeling good about yourself. 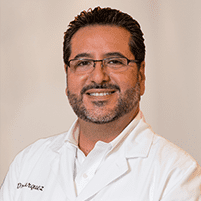 Dr. Burquez uses advanced teeth whitening techniques to help patients in Chula Vista and Bonita, CA, and the surrounding areas have whiter, brighter teeth in just an hour. "Great Dentist! Very professional, thorough and great with kids...."
"They are kind, professional and very reasonable with their prices." I was very content with his work and most of all his personal care. Yes, the tooth whitening products we use have been approved as being completely safe for professional treatment. Will teeth whitening cause my teeth to become sensitive? You may have some increased tooth sensitivity while the treatment is ongoing, but those issues will resolve quickly once treatment is complete. Sensitivity can also be more prevalent when small cracks, cavities or other issues are present, so having an exam first to have these issues corrected can help reduce the risk of sensitivity as well as keeping your teeth healthy. Is professional whitening better than the products I can buy in the store? The products you buy in the store can help your teeth become whiter, but they aren't designed to provide the same level of whiteness or the same consistent results as professional whitening system. Professional tooth whitening uses stronger and more effective whitening agents, as well as special trays designed to ensure the agent reaches all the tooth surfaces evenly for more consistent results and a healthier-looking smile overall. Plus, because professional teeth whitening products are used under the guidance of an experienced dentist, the risk of sensitivity is significantly reduces. Pre-whitening exams can also help find tiny fissures or untreated decay that can cause increased sensitivity, treating those areas first for more a more comfortable experience. Are tooth whitening products safe to use on fillings? Yes, but it's important to remember that as your tooth surface becomes whiter, metal fillings can look darker by comparison. Some patients have dark fillings replaced with white fillings or covered by crowns to ensure the healthiest-looking smile possible. Can my veneers be whitened? When it comes to whitening, veneers can respond differently than your natural teeth. If you have veneers or bonding, you should discuss the effects of whitening prior to your treatment. "Great service and consistent. I recommend him to all my friends and family. Very honest and awesome root canal fix." "Excellent dental office, service, courtesy & attention to patient care." "We have been patients of Dr. Burquez for 5 yrs and have recommended him to all our friends."